I love cooking in the summer: simple salads, bbqs and juicy fruit salads. 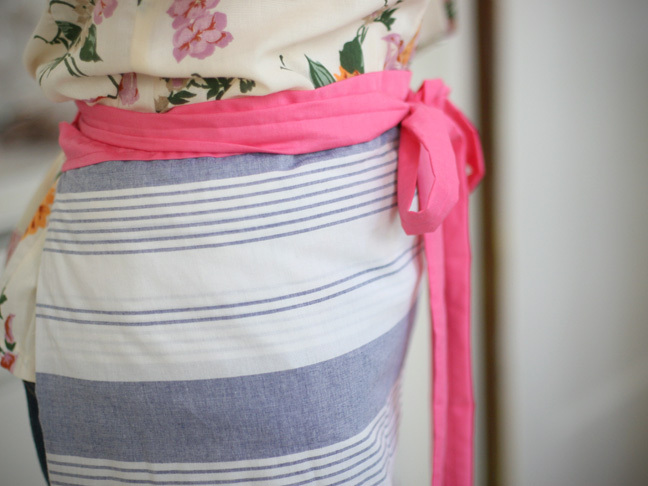 What way to celebrate summer cooking than with a new summer apron. 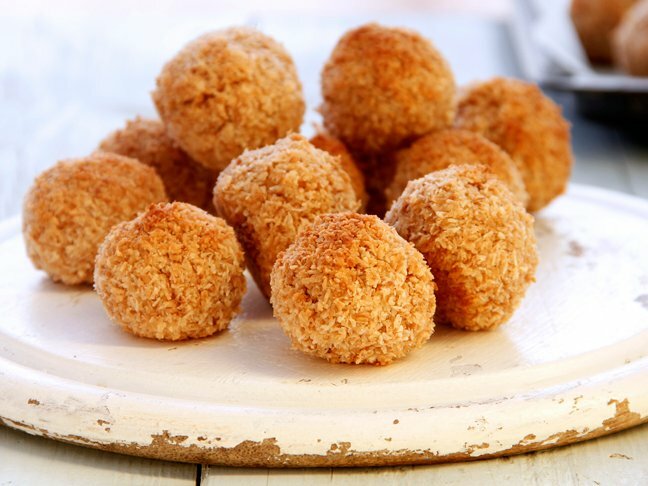 They're super easy to make and make great gifts as well! 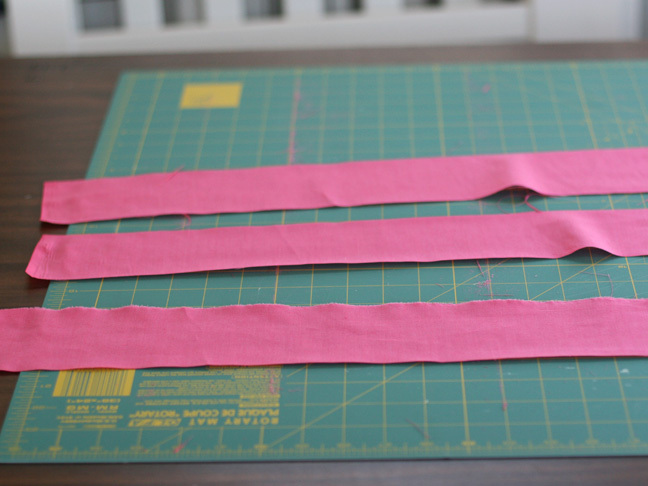 Cut a piece of fabric 30 width by 44 length. I doubled mine up because it was thin. 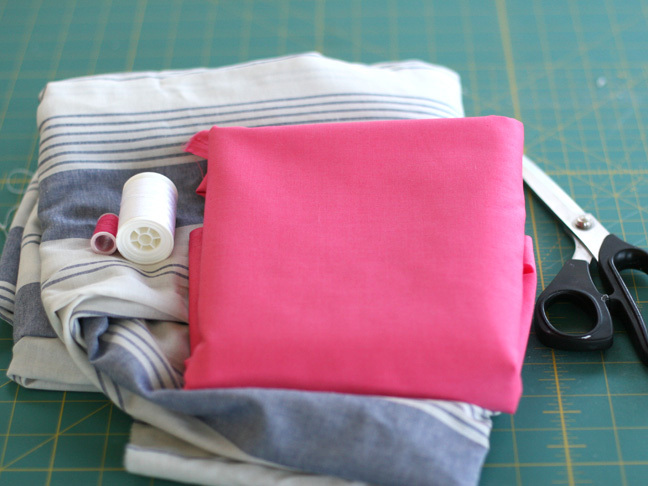 If your fabric is thick you just need a piece 30 x 22 and just hem the sides up. 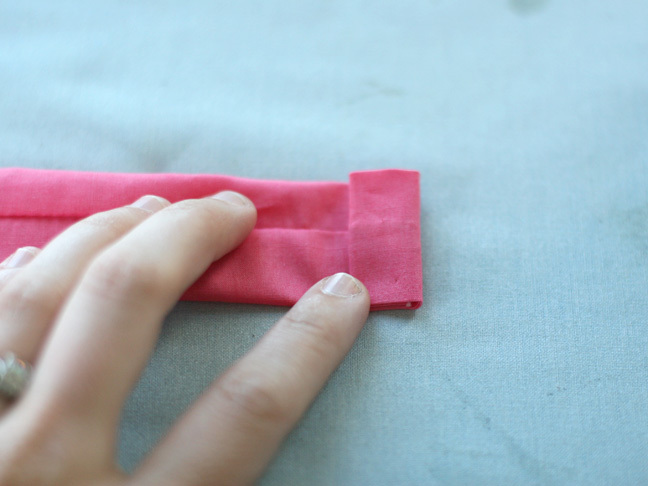 For the thinner fabrics, fold it in half so it's 30 x 22, right sides together, and pin the each of the sides together. The fold will be at the top and the bottom I let hang because I liked the selvedge look at the bottom. 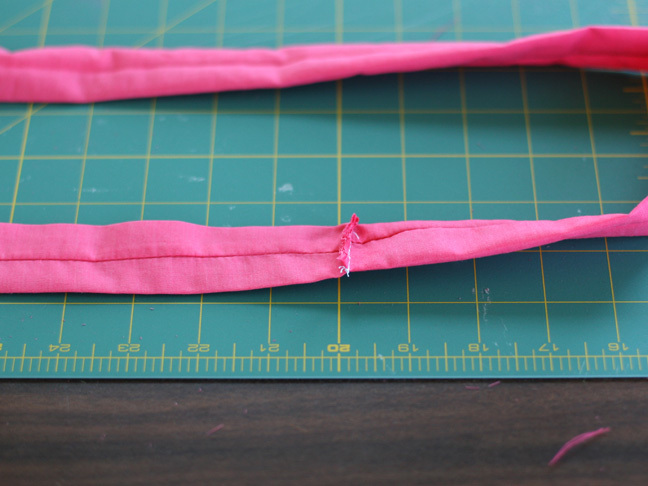 Sew along those two side seams and turn it right sides out. That's it for the main part of the apron (easy, right!). Now to make the band and tie. I wanted mine really long so I could make a nice bow in front. You'll be cutting three long strips. One for the front band and two for either side of the tie. You can shorten the tie pieces if you want your bow/tie shorter. I cut 31'' x 3'' for the band and two 35'' x 3'' for the ties. 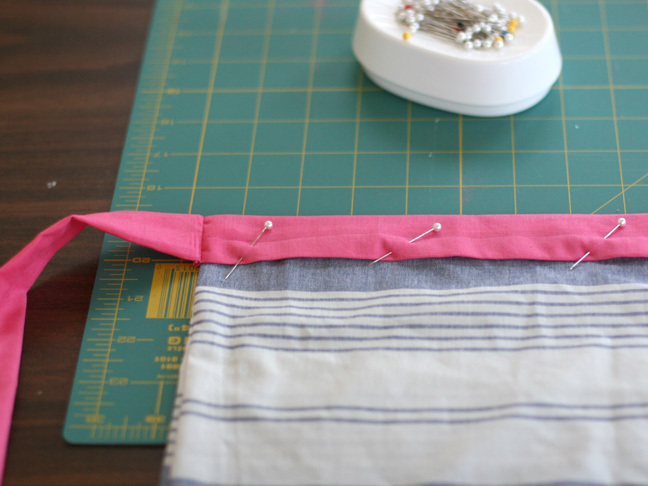 Fold one band in half, sew it together and turn right sides out. Iron flat. Should like like this above. Do the same for the other two pieces. Pin the middle piece to the front of the apron. 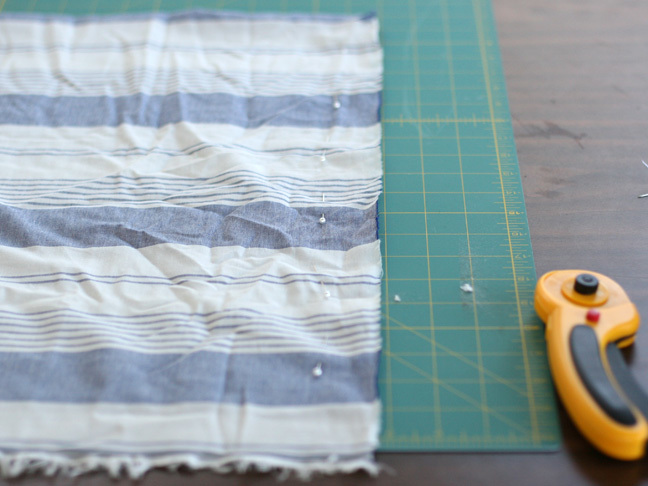 Try to center the piece and match up those seams you just made to the edges of the apron fabric. 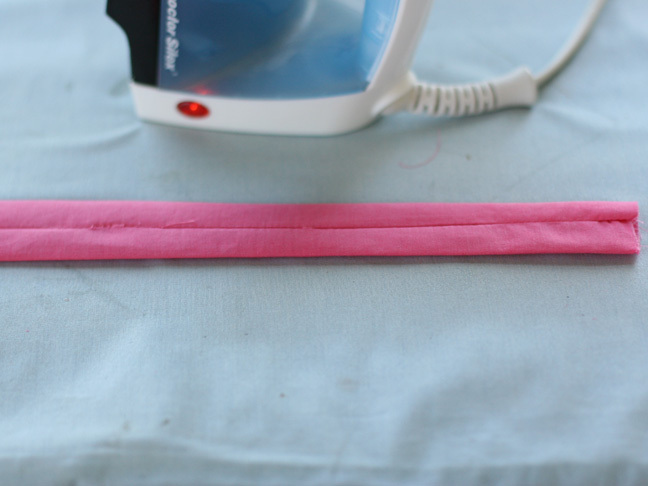 Sew along that edge in a color thread that matches the band/tie. 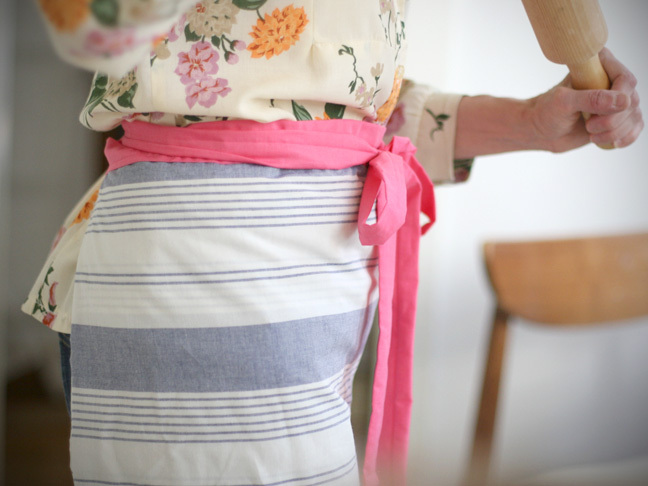 Pull the apron around the back and then around to the front again and finish with a nice bow!